A few months back I wrote a post about Gold Class Cinemas. This is hands down my favorite place to go for date night. It may have something to do with the fact they give you a pillow and blanket, the seats recline, and they serve you food and drinks all movie long. Something tells me I'll like this place just as much when I'm not pregnant! 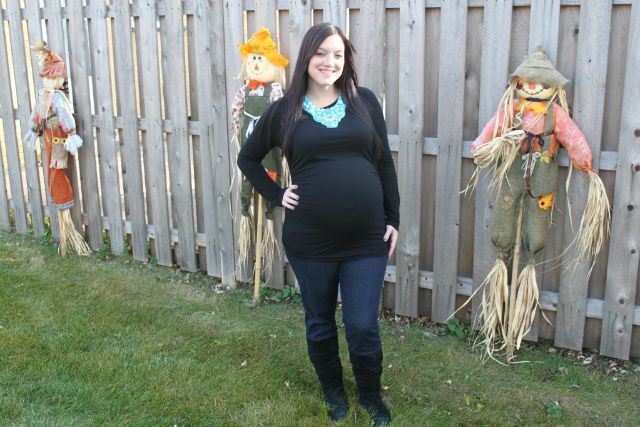 On this cool fall night I went with a long sleeved black top and some dark jeans. Black is slimming right?! haaa! Not sure that works if your 9 months pregnant but it was worth a try! You're almost there. Man hard to believe just a few months ago I was in your shoes! You look great..hope you guys had a good time. You look adorable!! She is going to be here any day now! I hope you had fun on your "date"! Now that sounds like my kind of movie theater!!!! LOVE the look and that necklace is to die for! You look beautiful! OMG that theatre sounds AMAZING! 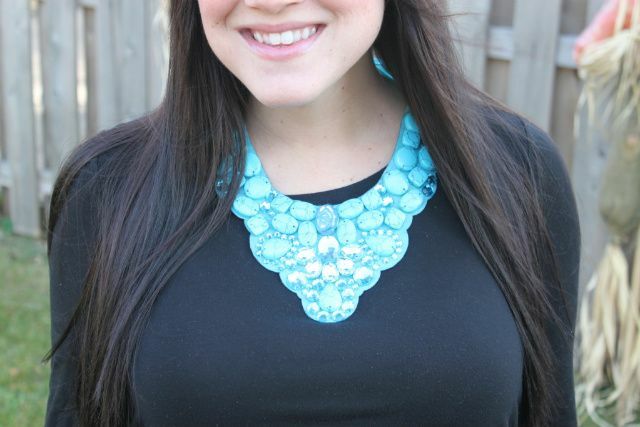 And your bib necklace is SO pretty! You look beautiful! Love the necklace, and your belly! So cute!